Halloween is one of the most food challenging holidays because the entire holiday revolves around candy, treats, and sugar. According to the Wall Street Journal, American’s spend about $2.6 billion on Halloween candy per year. Say What? That’s scary! If you were to average the amount of candy eaten among all Americans, it would come out to almost 4 pounds of candy per person during the Halloween season. That’s spooky! So here are a few tricks I’m using to stay away from the treats while still enjoying the holiday! 1. Donate your candy to a local food bank or church. Call your local food bank or church and ask if they accept candy – most will as long as it is individually wrapped. While you’re in the spirit of donating, pick up a few canned goods and nonperishable items to include in your delivery. 2. 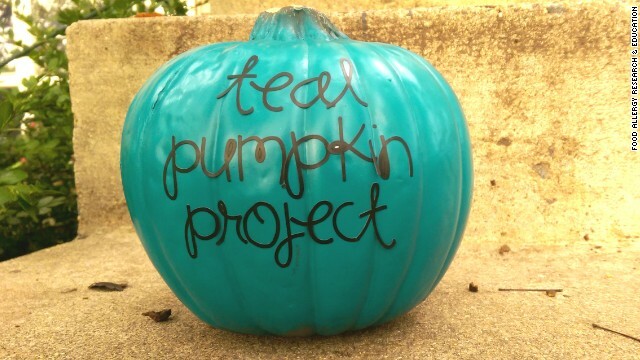 Participate in the teal pumpkin project. The teal pumpkin project was created to raise awareness about childhood food allergies and encourage people to hand out non-food items. 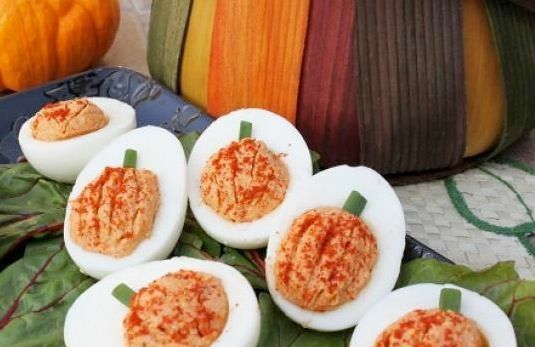 I think this is a great idea for children with or without food allergies! Kids love trinkets too, so feel free to include non-food and allergy friendly options in your trick-r-treating baskets this year. Great ideas are bubbles, crayons, erasers, stickers, markers, or squeaky toys (all can be found at your local dollar store). 3. If you’re having people over, make healthy treats and snacks for the kids (adults will enjoy them too!). I saw this treat at a recent Halloween party, and absolutely loved how cute it turned it! For the ghosts, you will need a bananas and mini chocolate chips. Peel and slice the bananas in half. Add mini chocolate chips for the ghost eyes and mouth. 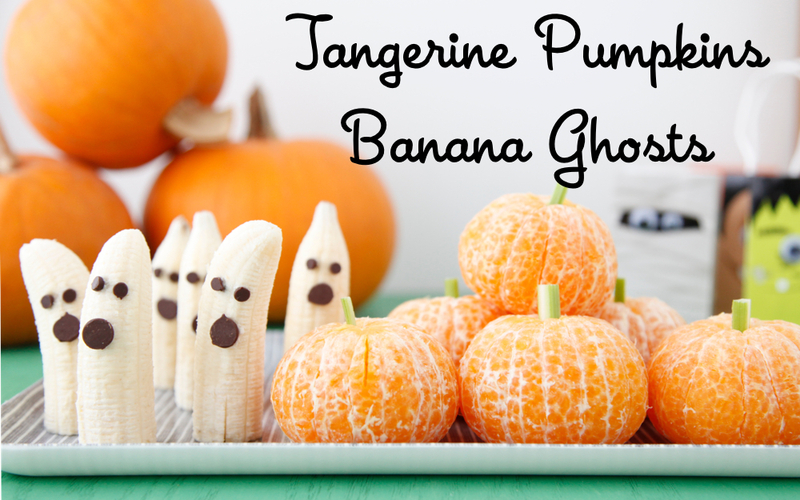 For the tangerine pumpkins, you will need tangerines and celery. Peel the tangerines. Cut celery lengthwise, three times. Then cut across into small pieces (about 1 inch). Stick cut celery pieces in the center of the tangerine for the stalk. 4. Allow yourself a treat, then move on! At the end of the day, it’s a holiday, and you want to enjoy it. If you find yourself eating all the candy, move on as quickly as possible, and start over with healthier options the next day. The easiest way to do that is to remove the temptation!